The sum of the claim is 1 hryvnya. 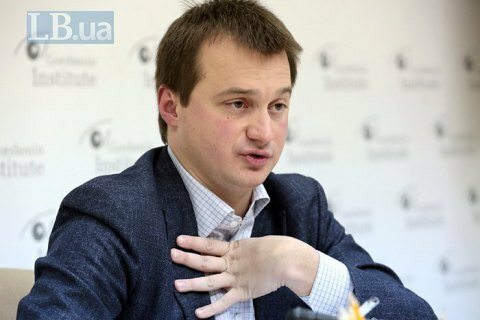 A deputy head of the Petro Poroshenko Bloc faction, MP Serhiy Berezenko, has said that he has filed a lawsuit against Civic Party leader and presidential candidate Anatoliy Hrytsenko to protect his honour and dignity. "I demand that the 'honest candidate' apologise for the outright slander and empty-worded statements which, as was to be expected, had no substance to them," Berezenko said on Facebook. Berezenko said that the sum of his claim is 1 hryvnya (3 US cents) because "this is exactly how much the word of the 'most honest' candidate costs". Hrytsenko alleged that President Petro Poroshenko's election HQ had been involved in bribery of voters. Berezenko, whom Hrytsenko named specifically, flatly denied any allegations. Earlier, MP Iryna Lutsenko filed a lawsuit against Hrytsenko after he alleged that her son did not serve in the antiterrorist operation area.